Our world is made up of rules. They are there to provide us with order and certainty and they generally serve us very well. But I am here today to tell you that it is time to break the rules. Well… maybe just a few. Many of the rules we learned growing up and in school were not designed to develop courageous leadership. Many of us (me included) were taught to be good girls, to play nice and to work hard. These rules work well in the early years but as we progress in our career and take on more of a leadership role some of these rules will most certainly hold us back. So as we get focused on bringing our best in 2015, here are my top 5 Rules to break this year. 1. Saying yes all of the time. In the beginning of your career, success is about saying yes to pretty much everything. It is about getting involved, doing new things and finding where you fit best. But you can not continue to say yes… you will end up burnt out or in a job that is no longer what you really love to be doing. There comes a time when you must get clear on where you want your career to head and to focus on that. 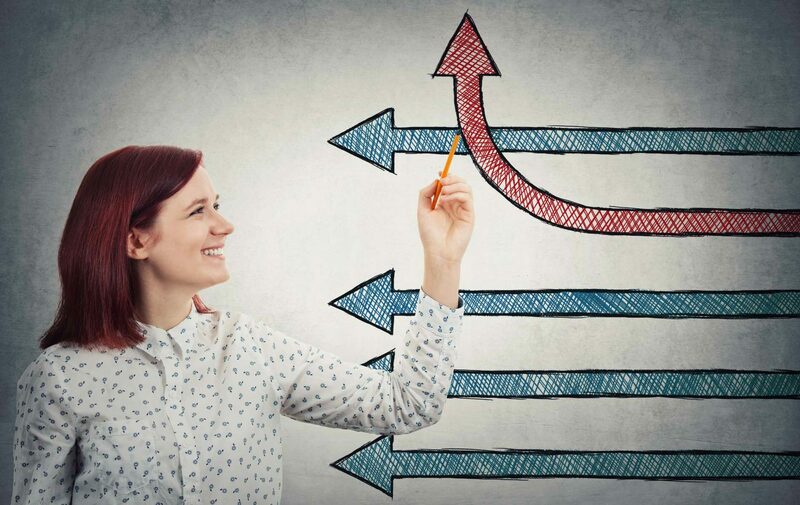 It is about making a commitment to you and your priorities and consciously decide which opportunities will support your direction and which will not. Saying NO will create the space to say YES to the fabulous juicy perfect opportunities that come your way. Remember, for every NO there will be a better YES right around the corner. For most of our lives we have been taught to wait for permission before we do something. We are taught to follow instructions; stick to the plan we are given and to act like good girls. This rule was definitely made to be broken. Make the decision today to stop waiting for an invitation to lead. Go out and be seen for the leader you truly are. Make decisions, take action and lead from the front. 3. Needing the entire plan before you begin. Get over wanting all your ducks to line up before you take any action. Do not wait to go for your dream until your plan is perfect. Even if you did get it together, it is going to change the moment you step out there and take action. Decide today what you want. Do not worry about the how for now. It is only once you take the first step that the plan will unfold before you. And the beautiful thing is, the richest opportunities are hidden within the unexpected twists and turns that come after we step out there. 4. Not sharing what you think. Ladies it is time to find your voice. Speak up and share your opinion and your ideas. Sitting silently through meetings will not serve you well. How can you be of influence or have an impact if you do not share your brilliance. Stop being afraid that not everyone will like what you say. Some people will disagree with you. That is only natural. You are not a leader if you not sharing your thoughts and saying what you think. 5. Ignoring your natural talents. We all come into this world with an array of unique and precious gifts. We shine most brightly when we get to play in the space of our gifts each day. We do our best work, we have the most fun and we feel the most fulfilled when we get to fully embrace our natural talents. Imagine the joy that will come when you decide to consciously create the direction of your career, tapping into all of your beautiful, powerful unique and wonderful gifts. 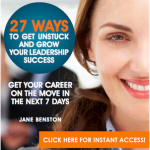 If you are feeling a bit stuck and uncertain in your career right now, Click HERE to download your FREE guide “27 Ways To Get Unstuck and grow your leadership career” and get a head start for career success in 2016.